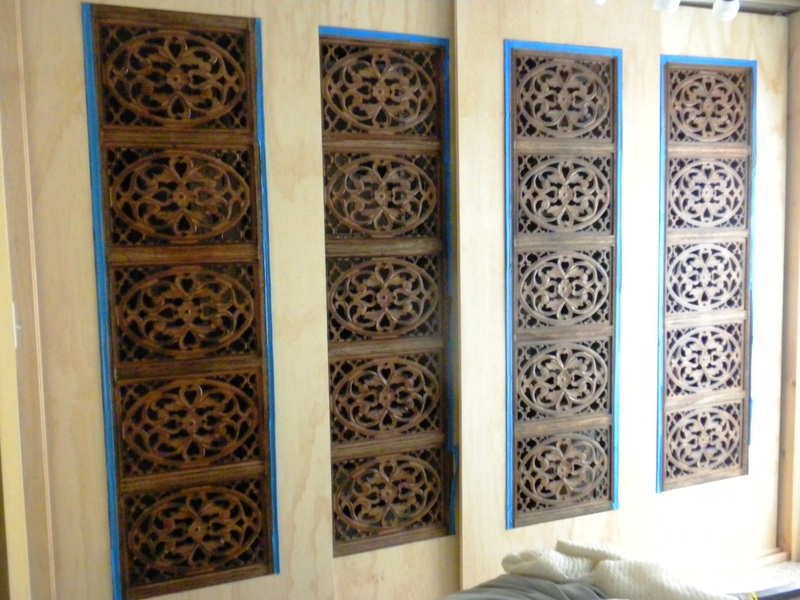 See how we turned a hideous nightmare into one of a kind feature wall. Oh yeah there is a closet behind there! We had a view of a builder-grade closet from our bed. Nice to wake up to right? It had a lot of wasted space, the boring hollow core doors kept falling off the track, not to mention the best sunlight of the afternoon came in though the window. I just knew there was opportunity here. Watch our DIY closet makeover, then check out what we did with the floor! Beautiful! Love the doors – whodathunk?